What does Twitter need to accomplish in 2010? In 2009 was there a more used buzzword than “Twitter”? In every day conversation, traditional media and on the internet, Twitter dominated conversation in 2009. This hype is part of the reason Twitter’s users skyrocketed in the past year. Twitter clearly is a popular and widely used technology that has helped change the media and communication as we know it. 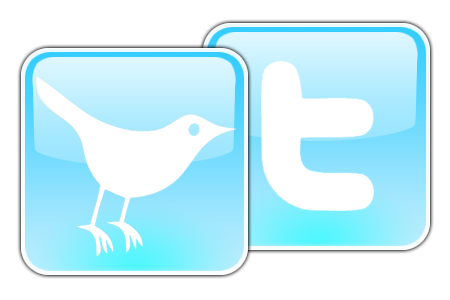 Twitter made big strides in 2009 but what do they need to do in 2010 to keep their momentum? Keep the hype going – Nothing was better for Twitter’s exposure than EVERYONE talking about it ALL THE TIME. Traditional media brought it up so much that Twitter’s awareness levels skyrocketed. Twitter needs to facilitate the hype by keeping their current format and outlook. The only way that Twitter will keep growing is if the public keeps talking about it and using it – don’t let it die in the mind of the masses. Jump the chasm – Twitter is widely used by social media/technology mavens. These “innovators” have built Twitter’s popularity. It is important to remember that the massive popularity (and profits) in technology are from the early/late majority adopters. Twitter needs to actively make sure that Twitter is trickling down to those in the masses. If it doesn’t, it will eventually die like all other “un-adopted” technologies. Figure out the whole money thing – There have been many rumors about how Twitter will end up making money. As much as we all like to think that Twitter is doing this because they are nice people and just want to facilitate communication; we know that eventually Twitter needs to start bringing in revenue and sooner rather than later. If Twitter doesn’t figure out their main revenue strategy in 2010, in the least Twitter needs to come up with an alternate revenue source. Not only will this bring in money to the company, but will more importantly will show the outside world that Twitter can make money. Show its true value – Although awareness for Twitter is extremely high, knowledge is extremely low. The majority of the public has no real understanding of Twitter’s value and advantages. The idea of “I’m sitting on the couch” is a waste of time to most people (as it should be). Those who use Twitter know that Twitter really doesn’t ask “What’s happening?” but it asks “What do you know/What do you want to know?”. If Twitter was more clear in presenting their true value, I suspect they would have many more dedicated users. To Geo or not to Geo – The talk about Twitter has been, geo-targeting and location-based Tweeting. This idea sounds great, but lets see if this can be a legitimate feature which people widely use. I’m not personally sold on it yet, but I also understand that it needs to be fully developed. It will be interesting to see how this comes about in the next year. If Twitter can carry out these five things, they will have a very successful 2010 and will hopefully prove to critics that it isn’t another flash in the pan. Maybe in showing their true value, Twitter will convert critics to supporters. What do you think Twitter needs to do in 2010? Leave it in the comments. liaimelew on The Onion’s prediction?